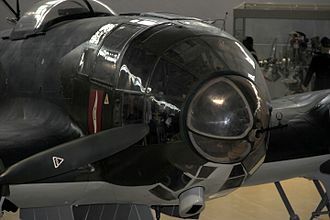 Perhaps the best-recognised German bomber due to the distinctive, extensively glazed "greenhouse" nose of later versions, the Heinkel He 111 was the most numerous Luftwaffe bomber during the early stages of World War II. The bomber fared well until the Battle of Britain, when its weak defensive armament was exposed. Nevertheless, it proved capable of sustaining heavy damage and remaining airborne. As the war progressed, the He 111 was used in a variety of roles on every front in the European theatre. It was used as a strategic bomber during the Battle of Britain, a torpedo bomber in the Atlantic and Arctic, and a medium bomber and a transport aircraft on the Western, Eastern, Mediterranean, Middle Eastern, and North African Front theatres. The He 111 was constantly upgraded and modified, but became obsolete during the latter part of the war. 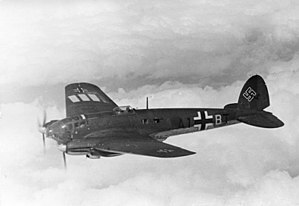 The German Bomber B project was not realised, which forced the Luftwaffe to continue operating the He 111 in combat roles until the end of the war. Manufacture of the He 111 ceased in September 1944, at which point piston-engine bomber production was largely halted in favour of fighter aircraft. With the German bomber force virtually defunct, the He 111 was used for logistics. Production of the Heinkel continued after the war as the Spanish-built CASA 2.111. Spain received a batch of He 111H-16s in 1943 along with an agreement to licence-build Spanish versions. Its airframe was produced in Spain under licence by Construcciones Aeronáuticas SA. The design differed significantly in powerplant only, eventually being equipped with Rolls-Royce Merlin engines. The Heinkel's descendant continued in service until 1973. Among the designers seeking to benefit from German re-armament was Ernst Heinkel. Heinkel decided to create the world's fastest passenger aircraft, a goal met with scepticism by Germany's aircraft industry and political leadership. Heinkel entrusted development to Siegfried and Walter Günter, both fairly new to the company and untested. In June 1933 Albert Kesselring visited Heinkel's offices. 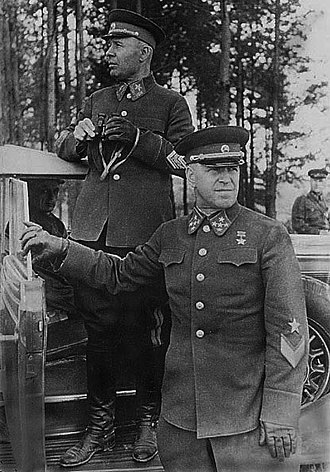 Kesselring was head of the Luftwaffe Administration Office: at that point Germany did not have a State Aviation Ministry but only an aviation commissariat, the Luftfahrtkommissariat. Kesselring was hoping to build a new air force out of the Flying Corps being constructed in the Reichswehr, and required modern aircraft. Kesselring convinced Heinkel to move his factory from Warnemünde to Rostock — with its factory airfield in the coastal "Marienehe" region of Rostock (today "Rostock-Schmarl") and bring in mass production, with a force of 3,000 employees. Heinkel began work on the new design, which garnered urgency as the American Lockheed 12, Boeing 247 and Douglas DC-2 began to appear. Features of the He 111 were apparent in the Heinkel He 70. The first single-engined He 70 Blitz ("Lightning") rolled off the line in 1932 and immediately started breaking records. In the normal four-passenger version its speed reached 380 km/h (230 mph) when powered by a 447 kW (600 hp) BMW VI engine. The He 70 was designed with an elliptical wing, which the Günther brothers had already incorporated into the Bäumer Sausewind before they joined Heinkel. This wing design became a feature in this and many subsequent designs they developed. The He 70 drew the interest of the Luftwaffe, which was looking for an aircraft with both bomber and transport capabilities. The He 111 was a twin-engine version of the Blitz, preserving the elliptical inverted gull wing, small rounded control surfaces and BMW engines, so that the new design was often called the Doppel-Blitz ("Double Lightning"). When the Dornier Do 17 displaced the He 70, Heinkel needed a twin-engine design to match its competitors. Heinkel spent 200,000 man hours designing the He 111. The fuselage length was extended to just over 17.4 m/57 ft (from 11.7 m/38 ft 4½ in) and wingspan to 22.6 m/74 ft (from 14.6 m/48 ft). The first He 111 flew on 24 February 1935, piloted by chief test pilot Gerhard Nitschke, who was ordered not to land at the company's factory airfield at Rostock-Marienehe (today's Rostock-Schmarl neighbourhood), as this was considered too short, but at the central Erprobungstelle Rechlin test facility. He ignored these orders and landed back at Marienehe. He said that the He 111 performed slow manoeuvres well and that there was no danger of overshooting the runway. Nitschke also praised its high speed "for the period" and "very good-natured flight and landing characteristics", stable during cruising, gradual descent and single-engined flight and having no nose-drop when the undercarriage was operated. During the second test flight Nitschke revealed there was insufficient longitudinal stability during climb and flight at full power and the aileron controls required an unsatisfactory amount of force. 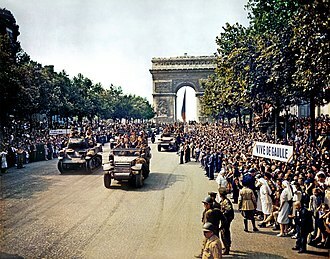 By the end of 1935, prototypes V2 V4 had been produced under civilian registrations D-ALIX, D-ALES and D-AHAO. D-ALES became the first prototype of the He 111 A-1 on 10 January 1936 and received recognition as the "fastest passenger aircraft in the world", as its speed exceeded 402 km/h (250 mph). The design would have achieved a greater total speed had the 1,000 hp DB 600 inverted-V12 engine that powered the Messerschmitt Bf 109s tenth through thirteenth prototypes been available. Heinkel was forced initially to use the 650 hp BMW VI "upright" V12 liquid-cooled engine. Taxiing was easy and was only complicated by rain, when the pilot needed to slide back the window panel and look out to establish direction. On take off, Brown reported very little "swing" and the aircraft was well balanced. On landing, Brown noted that approach speed should be above 145 km/h (90 mph) and should be held until touchdown. This was to avoid a tendency by the He 111 to drop a wing, especially on the port side. In the mid-1930s, Dornier Flugzeugwerke and Junkers competed with Heinkel for Ministry of Aviation (German: Reichsluftfahrtministerium, abbreviated RLM) contracts. The main competitor to the Heinkel was the Junkers Ju 86. In 1935, comparison trials were undertaken with the He 111. At this point, the Heinkel was equipped with two BMW VI engines while Ju 86A was equipped with two Jumo 205Cs, both of which had 492 kW (660 hp). The He 111 had a slightly heavier takeoff weight of 8,220 kg (18,120 lb) compared to the Ju 86's 8,000 kg (17,640 lb) and the maximum speed of both aircraft was 311 km/h (193 mph). The Ju 86 had a higher cruising speed of 177 mph (285 km/h), 9 mph (14 km/h) faster than the He 111. This stalemate was altered drastically by the appearance of the DB 600C, which increased the He 111's power by 164 kW (220 hp). The Ministry of Aviation awarded both contracts, and Junkers sped up development and production at a breathtaking pace, but the financial expenditure for the Junkers was huge. In 1934-1935, 3,800,000 RM (4½% of annual turnover) was spent. 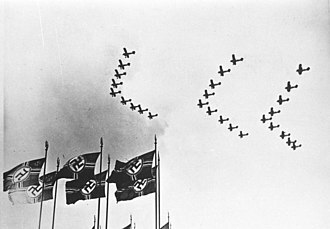 The Ju 86 appeared at many flight displays all over the world which helped sales to the Ministry of Aviation and abroad. Dornier, which was also competing with their Do 17, and Heinkel were not as successful. In production terms, the He 111 was more prominent with 8,000 examples produced against just 846 Ju 86s, and was therefore the Luftwaffe's most numerous type at the beginning of the Second World War. The design of the He 111 A-L initially had a conventional stepped cockpit, with a pair of windscreen-like panels for the pilot and co-pilot. The He 111P and subsequent production variants were fitted with fully glazed cockpits and a laterally asymmetric nose, with the port side having the greater curvature for the pilot, offsetting the bombardier to starboard. 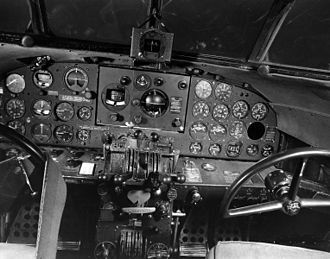 The resulting stepless cockpit, which was a feature on a number of German bomber designs during the war years in varying shapes and formats, no longer had the separate windscreen panels for the pilot. Pilots had to look outside through the same bullet-like glazing that was used by the bombardier and navigator. The pilot was seated on the left and the navigator/bomb aimer on the right. The navigator went forward to the prone bomb-aiming position or could tilt his chair to one side, to move into the rear of the aircraft. 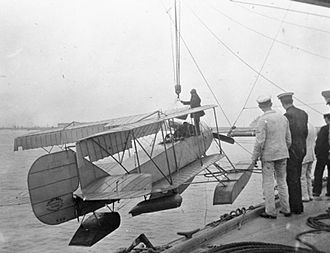 There was no cockpit floor below the pilot's feet—the rudder pedals being on arms—giving very good visibility below. Sliding and removable panels were manufactured into the nose glazing to allow the pilot, navigator and or bomb aimer to exit the aircraft quickly, without a time-consuming retreat into the fuselage. The wing leading edges were swept back to a point inline with the engine nacelles, while the trailing edges were angled forward slightly. The wing contained two 700 L (190 US gal) fuel tanks between the inner wing main spars, while at the head of the main spar the oil coolers were fitted. Between the outer spars, a second pair of reserve fuel tanks were located, carrying an individual capacity of 910 L (240 US gal) of fuel. The outer trailing edges were formed by the ailerons and flaps, which were met by smooth wing tips which curved forward into the leading edge. The outer leading edge sections were installed in the shape of a curved "strip nosed" rib, which was positioned ahead of the main spar. Most of the interior ribs were not solid, with the exception of the ribs located between the rear main spar and the flaps and ailerons. These were of solid construction, though even they had lightening holes. The control systems also had some innovations. The control column was centrally placed and the pilot sat on the port side of the cockpit. The column had an extension arm fitted and had the ability to be swung over to the starboard side in case the pilot was incapacitated. The control instruments were located above the pilot's head in the ceiling, which allowed viewing and did not block the pilot's vision. The fuel instruments were electrical. The He 111 used the inner fuel tanks, closest to the wing root, first. The outer tanks acted as reserve tanks. The pilot was alerted to the fuel level when there was 100 L (26 US gal) left. A manual pump was available in case of electrical or power failure but the delivery rate of just 4½ L (1.2 US gal) per minute demanded that the pilot fly at the lowest possible speed and just below 3,048 m (10,000 ft). The He 111 handled well at low speeds. The defensive machine gun positions were located in the glass nose and in the flexible ventral, dorsal and lateral positions in the fuselage, and all offered a significant field of fire. The machine gun in the nose could be moved 10° upwards from the horizontal and 15° downwards. It could traverse some 30° laterally. Both the dorsal and ventral machine guns could move up and downwards by 65°. The dorsal position could move the 13 mm (.51 in) MG 131 machine gun 40° laterally, but the ventral Bola-mount 7.92 mm (.312 in) twinned MG 81Z machine guns could be moved 45° laterally. Each MG 81 single machine gun mounted in the side of the fuselage in "waist" positions, could move laterally by 40° and could move upwards from the horizontal by 30° and downwards by 40°. The first prototype, He 111 V1 (W.Nr. 713, D-ADAP), flew from Rostock-Marienehe on 24 February 1935. 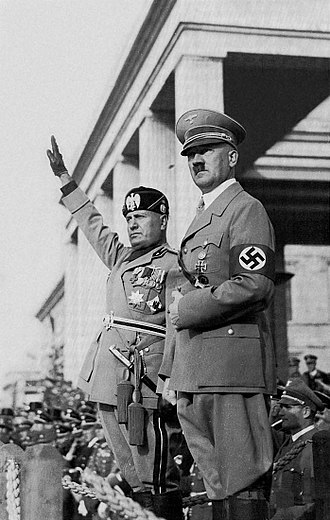 It was followed by the civilian-equipped V2 and V4 in May 1935. The V2 (W.Nr. 715, D-ALIX) used the bomb bay as a four-seat "smoking compartment", with another six seats behind it in the rear fuselage. V2 entered service with Deutsche Luft Hansa in 1936, along with six other newly built versions known as the He 111C. The He 111 V4 was unveiled to the foreign press on 10 January 1936. Nazi propaganda inflated the performance of the He 111C, announcing its maximum speed as 400 km/h (249 mph); in reality its performance stood at 360 km/h (224 mph). The He 111 C-0 was a commercial version and took the form of the V4 prototype design. The first machine was designated D-AHAO "Dresden". It was powered by the BMW VI engine and could manage a range (depending on the fuel capacity) of 1,000 km (621 mi) to 2,200 km (1,367 mi) and a maximum speed of 310 km/h (193 mph). The wing span on the C series was 22.6 m (74 ft 1¾in). The fuselage dimensions were 17.1 m (56 ft 1¾in) in the He 111 V1, but changed in the C to 17.5 m (57 ft 5 in). The Jumo 205 diesel powerplant replaced the BMW VI. Nevertheless, the maximum speed remained in the 220–240 km/h (137–149 mph) bracket. This was increased slightly when the BMW 132 engines were introduced. The He 111G was an upgraded variant and had a number of differences to its predecessors. 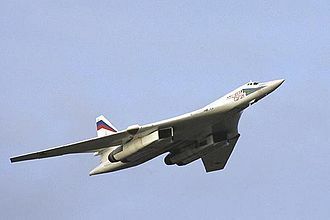 To simplify production the leading edge of the wing was straightened, like the bomber version. Engine types used included the BMW 132, BMW VI, DB 600 and DB601A. Some C variants were upgraded with the new wing modifications. A new BMW 132H engine was also used in a so-called Einheitstriebwerk (unitary powerplant). These radial engines were used in the Junkers Ju 90 and the Focke-Wulf Fw 200 Condor. The wing units and engines were packed together as complete operating systems, allowing for a quick change of engine - a likely direct precursor of the wartime Kraftei aviation engine unitization concept. The He 111G was the most powerful as well as the fastest commercial version. The G-0 was given the BMW VI 6.0 ZU. Later variants had their powerplants vary. The G-3 for example was equipped with the BMW 132. The G-4 was powered by DB600G inverted-vee 950 hp (710 kW) engines and the G-5 was given the DB601B with a top speed of 410 km/h (255 mph). By early 1937, eight G variants were in Lufthansa service. The maximum number of He 111s in Lufthansa service was 12. The He 111 operated all over Europe and flew as far away as South Africa. Commercial development ended with the He 111G. The initial reports from the test pilot, Gerhard Nitschke, were favourable. The He 111's flight performance and handling were impressive although it dropped its wing in the stall. As a result, the passenger variants had their wings reduced from 25 m (82 ft) to 23 m (75 ft). The military aircraft - V1, V3 and V5 - spanned just 22.6 m (74.1 ft). The first prototypes were underpowered, as they were equipped with 431 kW (578 hp) BMW VI 6.0 V12 in-line engines. This was eventually increased to 745 kW (999 hp) with the fitting of the DB (Daimler-Benz) 600 engines in the V5, which became the prototype of the "B" series. Only ten He 111 A-0 models based on the V3 were built, but they proved to be underpowered and were eventually sold to China. The type had been lengthened by 1.2 m (3.9 ft) due to the added 7.92 mm (.312 in) MG 15 machine gun in the nose. Another gun position was installed on top of the fuselage, and another in a ventral position as a "dustbin" exposed turret, which could retract. The bomb bay was divided into two compartments and could carry 680 kg (1,500 lb) of bombs. The problem with these additions was that the weight of the aircraft reached 8,200 kg (18,080 lb). The He 111's performance was seriously reduced; in particular, the BMW VI 6.0 Z engines were not now powerful enough. The increased length also altered the 111's aerodynamic strengths and reduced its excellent handling on takeoffs and landings. The first He 111B made its maiden flight in the autumn of 1936. The first production batch rolled off the production lines that summer, at Rostock. Seven B-0 pre-production aircraft were built, bearing the Werknummern (Works numbers) 1431 to 1437. The B-0s were powered by DB 600C engines fitted with variable pitch airscrews. The screws increased output by 149 kW (200 hp). The B-0 had a MG 15 machine gun installed in the nose. The B-0 could also carry 1,500 kg (3,310 lb) in their vertical cells. The B-1 had some minor improvements, including the installation of a revolving gun-mount in the nose and a flexible Ikaria turret under the fuselage. After improvements, the RLM ordered 300 He 111 B-1s; the first were delivered in January 1937. 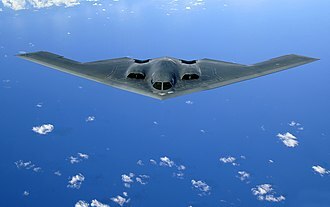 In the B-2 variant, engines were upgraded to the supercharged 634 kW (850 hp) DB 600C, or in some cases, the 690 kW (925 hp) 600G. The B-2 began to roll off the production lines at Oranienburg in 1937. The He 111 B-3 was a modified trainer. Some 255 B-1s were ordered. However, the production orders were impossible to fulfill and only 28 B-1s were built. Owing to the production of the new He 111E, only a handful of He 111 B-3s were produced. Due to insufficient capacity, Dornier, Arado and Junkers built the He 111B series at their plants in Wismar, Brandenburg and Dessau, respectively. The B series compared favourably with the capacity of the A series. The bomb load increased to 1,500 kg (3,300 lb), while there was also an increase in maximum speed and altitude to 215 mph (344 km/h) and 22,000 ft (6,700 m). The pre-production E-0 series were built in small numbers, with Jumo 211 A-1 engines loaded with retractable radiators and exhaust systems. The variant could carry 1,700 kg (3,748 lb) of bombs, giving it a takeoff weight of 10,300 kg (22,707 lbs). The development team for the Jumo 211 A-1 engines managed to increase engine power to 930 hp (690 kW), subsequently the He 111 E-1s bomb load capacity increased to 2,000 kg (4,410 lb) and a top speed of 242 mph (390 km/h). The E-1 variant with Jumo 211A-1 engines was developed in 1937, the He 111 V6 being the first production variant. The E-1 had its original powerplant, the DB 600 replaced with the Jumo 210 Ga engines. The more powerful Jumo 211 A-1 engines desired by the Ministry of Aviation were not ready; another trial aircraft, He 111 V10 (D-ALEQ) was to be fitted with two oil coolers necessary for the Jumo 211 A-1 installation. The E-1s came off the production line in February 1938, in time for a number of these aircraft to serve in the Condor Legion during the Spanish Civil War in March 1938. 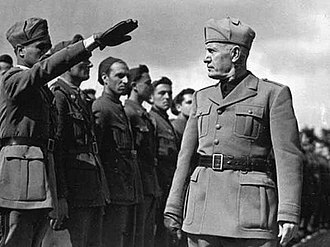 The RLM thought that because the E variant could outrun enemy fighters in Spain, there was no need to increase the defensive weaponry, which would prove to be a mistake in later years. The fuselage bomb bay used four bomb racks but in later versions eight modular standard bomb racks were fitted, to carry one SC 250 kg (550 lb) bomb or four SC 50 kg (110 lb) bombs pointing nose up. These modular standard bomb racks were a common feature on the first generation of Luftwaffe bombers but they limited the ordnance selection to bombs of only two sizes and were abandoned in later designs. The E-2 series was not produced and was dropped in favour of producing the E-3 with only a few modifications, such as external bomb racks. Its design features were distinguished by improved FuG radio systems. The E-3 series was equipped with the Jumo 211 A-3s of 1,100 hp (820 kW). The E-4 variant was fitted with external bomb racks also and the empty bomb bay space was filled with an 835 L (221 US gal) tank for aviation fuel and a further 115 L (30 US gal) oil tank. This increased the loaded weight but increased range to 1,800 km (1,130 mi). The modifications allowed the He 111 to perform both long- and short-range missions. The E-4's eight internal vertically aligned bomb racks could each carry a 250 kg (550 lb) bomb. The last E Variant, the He 111 E-5, was powered by the Jumo 211 A-3 and retained the 835 L (221 US gal) fuel tank on the port side of the bomb bay. Only a few E-4 and E-5s were built. The RLM had acquired an interest in rocket boosters fitted, for the sake of simplicity, below the wings of a heavily loaded bomber, to cut down the length of runway needed for takeoff. Once in the air the booster canisters would be jettisoned by parachute for reuse. The firm of Hellmuth Walter, at Kiel, handled this development. The first standing trials and tests flights of the Walter HWK 109-500 Starthilfe liquid-fueled boosters were held in 1937 at Neuhardenberg with test pilot Erich Warsitz at the controls of Heinkel He 111E bearing civil registration D-AMUE. Heinkel's industrial capacity was limited and production was delayed. Nevertheless, 24 machines of the F-1 series were exported to Turkey. Another 20 of the F-2 variant were built. The Turkish interest, prompted by the fact the tests of the next prototype, He 111 V8, was some way off, prompted the Ministry of Aviation to order 40 F-4s with Jumo 211 A-3 engines. These machines were built and entered service in early 1938. 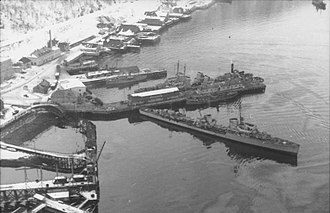 This fleet was used as a transport group during the Demyansk Pocket and Battle of Stalingrad. At this time, development began on the He 111J. It was powered by the DB 600 and was intended as a torpedo bomber. As a result, it lacked an internal bomb bay and carried two external torpedo racks. The Ministry of Aviation gave an order for the bomb bay to be retrofitted; this variant became known as the J-1. In all but the powerplant, it was identical to the F-4. The He 111's low-level performance attracted the interest of the Kriegsmarine. The result was the He 111J, capable of carrying torpedoes and mines. However, the navy eventually dropped the program as they deemed the four-man crew too extravagant. The RLM continued production of the He 111 J-0. Some 90 (other sources claim 60) were built in 1938 and were then sent to Küstenfliegergruppe 806 (Coastal Flying Group). Powered by the DB 600G engines, it could carry a 2,000 kg (4,410 lb) payload. Only a few of the pre-production J-0s were fitted with the powerplant, the DB 600 was used, performance deteriorated and the torpedo bomber was not pursued. The J variants were used in training schools until 1944. Some J-1s were used as test beds for Blohm & Voss L 10 [de] radio-guided air-to-ground torpedo missiles. The He 111P incorporated the updated Daimler-Benz DB 601A-1 liquid-cooled engine and featured a newly designed nose section, including an asymmetric mounting for an MG 15 machine gun that replaced the 'stepped' cockpit with a roomier and more aerodynamic glazed stepless cockpit over the entire front of the aircraft. This smooth glazed nose was first tested on the He 111 V8 in January 1938. These improvements allowed the aircraft to reach 475 km/h (295 mph) at 5,000 m (16,400 ft) and a cruise speed of 370 km/h (230 mph), although a full bomb load reduced this figure to 300 km/h (190 mph). The design was implemented in 1937 because pilot reports indicated problems with visibility. The pilot's seat could actually be elevated, with the pilot's eyes above the level of the upper glazing, complete with a small pivoted windscreen panel, to get the pilot's head above the level of the top of the "glass tunnel" for a better forward view for takeoffs and landings. The rear-facing dorsal gun position, enclosed with a sliding, near-clear view canopy, and for the first time, the ventral Bodenlafette rear-facing gun position, immediately aft of the bomb bay, that replaced the draggy "dustbin" retractable emplacement became standard, having been first flown on the He 111 V23, bearing civil registration D-ACBH. Apparent are the externally poor, less carefully designed components at various locations, especially at the junction between the empennage and the rear fuselage. All parts have an impression of being very weak.... The visible flexing in the wing must also be very high. The left and right powerplants are interchangeable. Each motor has an exhaust-gas heater on one side, but it is not connected to the fuselage since it is probable that ... the warm air in the fuselage is not free of carbon monoxide (CO). The fuselage is not subdivided into individual segments, but is attached over its entire length, after completion, to the wing centre section. Outboard of the powerplants, the wings are attached by universal joints. The latter can in no way be satisfactory and have been the cause of several failures. The new design was powered by the DB 601 Ba engine with 1,175 PS The first production aircraft reached Luftwaffe units in Fall 1938. In May 1939, the P-1 and P-2 went into service with improved radio equipment. The P-1 variant was produced with two DB 601Aa powerplants of 1,150 hp (860 kW). It had self-sealing fuel tanks. The P-1 featured a semi-retractable tail wheel to decrease drag. Armament consisted of a MG 15 in the nose, and a sliding hood for the fuselage's dorsal B-Stand position. Installation of upgraded FuG III radio communication devices were also made and a new ESAC-250/III vertical bomb magazine was added. The overall takeoff weight was now 13,300 kg (29,321 lb). 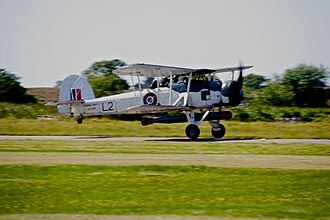 The P-2, like the later P-4, was given stronger armour and two MG 15 machine guns in "waist" mounts on either side of the fuselage and two external bomb racks. Radio communications consisted of FuG IIIaU radios and the DB601 A-1 replaced the 601Aa powerplants. The Lotfernrohr 7 bombsights, which became the standard bombsight for German bombers, were also fitted to the P-2. The P-2 was also given "field equipment sets" to upgrade the weak defensive armament to four or five MG 15 machine guns. The P-2 had its bomb capacity raised to 4 ESA-250/IX vertical magazines. The P-2 thus had an empty weight of 6,202 kg (13,272 lb), a loaded weight increased to 12,570 kg (27,712 lb) and a maximum range of 2,100 km (1,305 mi). The P-4 contained many changes from the P-2 and P-3. The jettisonable loads were capable of considerable variation. Two external SC 1800 kg (3,960 lb) bombs, two LMA air-dropped anti-shipping mines, one SC 1,800 kg plus four SC 250 kg; or one SC 2,500 kg external bomb could be carried on an ETC Rüstsatz rack. Depending on the load variation, an 835 L fuel and 120 L oil tank could be added in place of the internal bomb bay. The armament consisted of three defensive MG 15 machine guns. 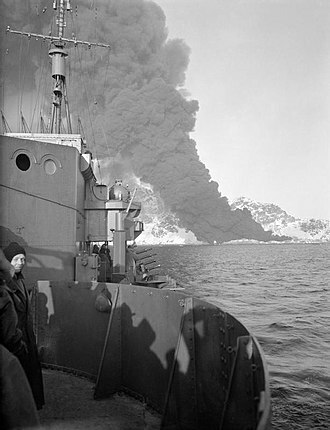 later supplemented by a further three MG 15s and one MG 17 machine gun. The radio communications were standard FuG X(10), Peil G V direction finding and FuBI radio devices. Due to the increase in defensive firepower, the crew numbers increased from four to five. The empty weight of the P-4 increased to 6,775 kg (14,936 lb), and the full takeoff weight increased to 13,500 kg (29,762 lb) owing to the mentioned alterations. Many of the He 111 Ps served during the Polish Campaign. With the Junkers Ju 88 experiencing technical difficulties, the He 111 and the Do 17 formed the backbone of the Kampfwaffe. 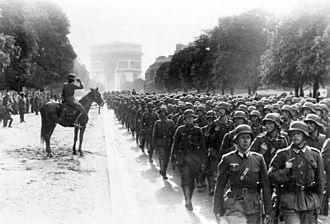 On 1 September 1939, Luftwaffe records indicate the Heinkel strength at 705 (along with 533 Dorniers). The P-6 variant was the last production model of the He 111 P series. In 1940, the Ministry of Aviation abandoned further production of the P series in favour of the H versions, mostly because the P-series' Daimler-Benz engines were needed for Messerschmitt Bf 109 and Bf 110 fighter production. The remaining P-6s were redesignated P-6/R2s and used as heavy glider tugs. The most notable difference with previous variants was the upgraded DB 601N powerplants. The P-7 variant's history is unclear. The P-8 was said to have been similar to the H-5 fitted with dual controls. The P-9 was produced as an export variant for the Hungarian Air Force. Due to the lack of DB 601E engines, the series was terminated in summer 1940. The H variant of the He 111 series was more widely produced and saw more action during World War II than any other Heinkel variant. Owing to the uncertainty surrounding the delivery and availability of the DB 601 engines, Heinkel switched to 820 kW (1,100 hp) Junkers Jumo 211 powerplants, whose somewhat greater size and weight were regarded as unimportant considerations in a twin-engine design. When the Jumo was fitted to the P model it became the He 111 H. The He 111 H-1 was fitted with a standard set of three 7.92 mm (.312 in) MG 15 machine guns and eight SC 250 250 kg (550 lb) or 32 SC 50 50 kg (110 lb) bombs. The same armament was used in the H-2 which started production in August 1939. The P-series was gradually replaced on the eve of war with the new the H-2, powered by improved Jumo 211 A-3 engines of 820 kW (1,100 hp). A count on 2 September 1939 revealed that the Luftwaffe had a total of 787 He 111s in service, with 705 combat ready, including 400 H-1 and H-2s that had been produced in a mere four months. Production of the H-3, powered by the 895 kW (1,200 hp) Jumo 211 D-1, began in October 1939. 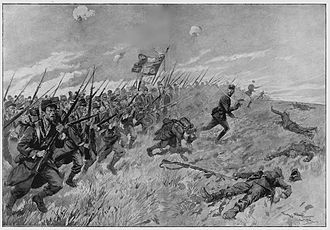 Experiences during the Polish Campaign led to an increase in defensive armament. MG 15s were fitted whenever possible and the number of machine guns was sometimes increased to seven. The two waist positions received an additional MG 15, and on some variants a belt-fed MG 17 was even installed in the tail. A MG FF cannon could sometimes be installed in the nose or forward gondola. After the Battle of Britain, smaller scale production of the H-4s began. The H-4 was virtually identical to the He 111 P-4 with the DB 600s swapped for the Jumo 211D-1s. Some also used the Jumo 211H-1. This variant also differed from the H-3 in that it could either carry 2,000 kg (4,410 lb) of bombs internally or mount one or two external racks to carry one 1,800 kg (3,970 lb) or two 1,000 kg (2,210 lb) bombs. As these external racks blocked the internal bomb bay doors, a combination of internal and external storage was not possible. A PVR 1006L bomb rack was fitted externally and an 835 L (221 US gal) tank added to the interior spaces left vacant by the removal of the internal bomb-bay. 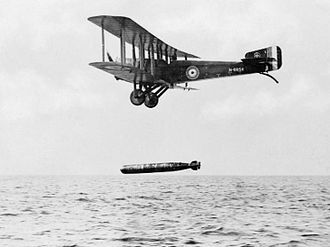 The PVR 1006L was capable of carrying a SC 1000 1,000 kg (2,210 lb) bomb. Some H-4s had their PVC racks modified to drop torpedoes. Later modifications enabled the PVC 1006 to carry a 2,500 kg (5,510 lb) "Max" bomb. However 1,000 kg (2,200 lb) "Hermann" or 1,800 kg (3,970 lb) "Satans" were used more widely. The H-5 series followed in February 1941, with heavier defensive armament. Like the H-4, it retained a PVC 1006 L bomb rack to enable it to carry heavy bombs under the fuselage. The first ten He 111 H-5s were pathfinders, and selected for special missions. The aircraft sometimes carried 25 kg flashlight bombs which acted as flares. The H-5 could also carry heavy fire bombs, either heavy containers or smaller incendiary devices attached to parachutes. The H-5 also carried LM A and LM B aerial mines for anti-shipping operations. After the 80th production aircraft, the PVC 1006 L bomb rack was removed and replaced with a heavy-duty ETC 2000 rack, enabling the H-5 to carry the SC 2500 "Max" bomb, on the external ETC 2000 rack, which enabled it to support the 5,000 lb (2,300 kg) bomb. Some H-3 and H-4s were equipped with barrage balloon cable-cutting equipment in the shape of cutter installations forward of the engines and cockpit. They were designated H-8, but later named H8/R2. These aircraft were difficult to fly and production stopped. The H-6 initiated some overall improvements in design. The Jumo 211 F-1 engine of 1,007 kW (1,350 hp) increased its speed while the defensive armament was upgraded at the factory with one 20 mm MG FF cannon in the nose and/or gondola positions (optional), two MG 15 in the ventral gondola, and one each of the fuselage side windows. Some H-6 variants carried tail-mounted MG 17 defensive armament. The performance of the H-6 was much improved. The climb rate was higher and the machine could reach a slightly higher ceiling of 8,500 m (27,200 ft). When heavy bomb loads were added, this ceiling was reduced to 6,500 m (20,800 ft). The weight of the H-6 increased to 14,000 kg (30,600 lb). Some H-6s received Jumo 211F-2s which improved a low-level speed of 226 mph (365 km/h). At an altitude of 6,000 m (19,200 ft) the maximum speed was 270 mph (435 km/h). If heavy external loads were added, the speed was reduced by 21.75 mph (35 km/h). 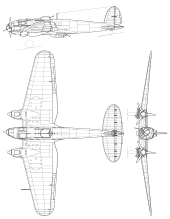 Other designs of the mid-H series included the He 111 H-7 and H-8. The airframes were to be rebuilds of the H-3/H-5 variant. Both were designed as night bombers and were to have two Jumo 211F-1s installed. The intention was for the H-8 to be fitted with cable-cutting equipment and barrage ballon deflectors on the leading edge of the wings. The H-7 was never built. The H-9 was intended as a trainer with dual control columns. The airframe was a H-1 variant rebuild. The powerplants consisted of two JumoA-1s or D-1s. The H-10 was also designated to trainer duties. Rebuilt from an H-2 or H-3 airframe, it was installed with full defensive armament including 13 mm (.51 in) MG 131 and 7.92 mm (.312 in) MG 81Z machine guns. It was to be powered by two Jumo 211A-1s, D-1s or F-2s. In the summer of 1942, the H-11, based on the H-3 was introduced. With the H-11, the Luftwaffe had at its disposal a powerful medium bomber with heavier armour and revised defensive armament. The drum-fed 7.92 mm (.312 in) MG 15 was replaced with a belt-fed 13 mm (.51 in) MG 131 in the now fully enclosed dorsal position (B-Stand); the gunner in the latter was now protected with armoured glass. The single MG 15 in the ventral C-Stand or Bola was also replaced, with a belt-fed 7.92 mm (.312 in) MG 81Z with much higher rate of fire. The beam positions originally retained the single MG 15s, but the H-11/R1 replaced these with twin MG 81Z as well; this latter arrangement was standardized in November 1942. The port internal ESAC bomb racks could be removed, and an 835 L (221 US gal) fuel tanks installed in its place. Many H-11s were equipped with a new PVC rack under the fuselage, which carried five 250 kg (550 lb) bombs. Additional armour plating was fitted around crew spaces, some of it on the lower fuselage and could be jettisoned in an emergency. Engines were two 1,000 kW (1,340 hp) Junkers Jumo 211F-2, allowing this variant to carry a 2,000 kg (4,410 lb) payload to a range of 2,340 km (1,450 mi). Heinkel built 230 new aircraft of this type and converted 100 H-3s to H-11s by the summer of 1943. The third mass production model of the He 111H was the H-16, entering production in late 1942. Armament was as on the H-11, with some differences. The 20 mm MG FF cannon was deleted, as the H-16s were seldom employed on low-level missions, was replaced with a single MG 131 in a flexible installation in the nose (A-Stand). On some aircraft, designated He 111 H-16/R1, the dorsal position was replaced by a Drehlafette DL 131 electrically powered turret, armed with a single MG 131. The two beam and the aft ventral positions were provided with MG 81Zs, as on the H-11. The two 1,000 kW (1,340 hp) Jumo 211 F-2 provided a maximum speed of 434 km/h (270 mph) at 6,000 m (19,690 ft); cruising speed was 390 km/h (242 mph), service ceiling was 8,500 m (27,900 ft).Funkgerät (FuG) radio equipment. FuG 10P, FuG 16, FuBl Z and APZ 6 were fitted for communication and navigation at night, while some aircraft received the FuG 101a radio altimeter. The H-16 retained its eight ESAC internal bomb cells; four bomb cells, as on previous versions could be replaced by a fuel tank to increase range. ETC 2000 racks could be installed over the bomb cell openings for external weapons carriage. Empty weight was 6,900 kg (15,210 lb) and the aircraft weighed 14,000 kg (30,860 lb) fully loaded for take off. German factories built 1,155 H-16s between the end of 1942 and the end of 1943; in addition, 280 H-6s and 35 H-11s were updated to H-16 standard. An undetermined number of H variants were fitted with the FuG 200 Hohentwiel. The radar was adapted as an anti-shipping detector for day or night operations. The He 111Z Zwilling (English: Twin) was a design that entailed the mating of two He 111s. The design was originally conceived to tow the Messerschmitt Me 321 glider. Initially, four He 111 H-6s were modified. This resulted in an aircraft with twin fuselages and five engines. They were tested at Rechlin in 1941, and the pilots rated them highly. A batch of 10 were produced and five were built from existing H-6s. The machines were joined by a center wing formed by two sections 6.15 m (20 ft) in length. The powerplants were five Junkers Jumo 211F engines producing 1,000 kW (1,340 hp) each. The total fuel capacity was 8,570 L (2,260 US gal). This was increased by adding of four 600 L (160 US gal) drop tanks. The He111Z could tow a Gotha Go 242 glider or Me 321 for up to 10 hours at cruising speed. It could also remain airborne if the three central powerplants failed. The He 111 Z-2 and Z-3 were also planned as heavy bombers carrying 1,800 kg (3,970 lb) of bombs and having a range of 4,000 km (2,500 mi). The ETC installations allowed for a further four 600 L (160 US gal) drop tanks to be installed. The Z-3 was to be a reconnaissance version and would have had additional fuel tanks, increasing its range to 6,000 km (3,730 mi). Production was due to take place in 1944, just as bomber production was being abandoned. The long-range variants failed to come to fruition. The He 111Z was to have been used in an invasion of Malta in 1942 and as part of an airborne assault on the Soviet cities of Astrakhan and Baku in the Caucasus in the same year. During the Battle of Stalingrad their use was cancelled due to insufficient airfield capacity. Later in 1943, He111Zs helped evacuate German equipment and personnel from the Caucasus region, and during the Allied invasion of Sicily, attempted to deliver reinforcements to the island. The He 111Z's operational history was minimal. 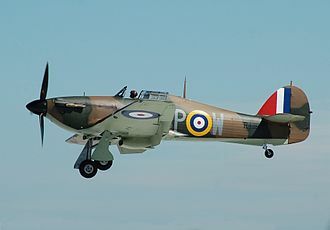 One machine was caught by RAF fighter aircraft over France on 14 March 1944. The He 111Z was towing a Gotha Go 242, and was shot down. Eight were shot down or destroyed on the ground in 1944. To meet demand for numbers, Heinkel constructed a factory at Oranienburg. On 4 May 1936, construction began, and exactly one year later the first He 111 rolled off the production line. The Ministry of Aviation Luftwaffe administration office suggested that Ernst Heinkel lend his name to the factory. 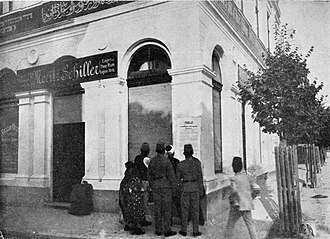 The "Ernst Heinkel GmbH" was established with a share capital of 5,000,000 Reichsmarks (RM). Heinkel was given a 150,000 RM share. 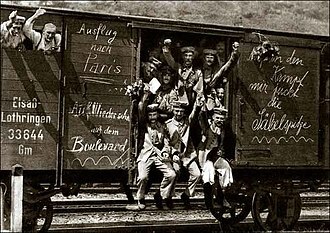 The factory itself was built by, and belonged to, the German state. 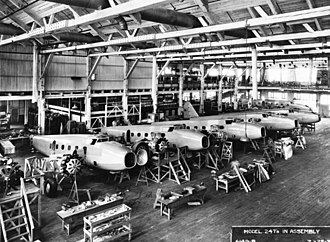 From this production plant, 452 He 111s and 69 Junkers Ju 88s were built in the first year of the war. German production for the Luftwaffe amounted to 808 He 111s by September 1939. According to Heinkel's memoirs, a further 452 were built in 1939, giving a total of 1,260. But "1940s production suffered extreme losses during the Battle of Britain, with 756 bombers lost". Meanwhile, the He 111's rival - the Ju 88 - had increased production to 1,816 aircraft, some 26 times the number from the previous year. Losses were also considerable the previous year over the Balkans and Eastern Fronts. To compensate, He 111 production was increased to 950 in 1941. In 1942, this increased further to 1,337 He 111s. The Ju 88 production figures were even higher still, exceeding 3,000 in 1942, of which 2,270 were bomber variants. In 1943, He 111 increased to 1,405 aircraft. But the Ju 88 still outnumbered it in production terms as its figures reached 2,160 for 1943. 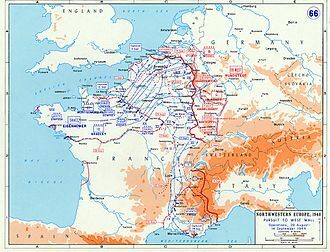 The Allied bomber offensives in 1944 and in particular Big Week failed to stop or damage production at Heinkel. Up until the last quarter of 1944, 756 Heinkel He 111s had been built, while Junkers produced 3,013 Ju 88s, of which 600 were bomber versions. During 1939-1944, a total of 5,656 Heinkel He 111s were built compared to 9,122 Ju 88s. As the Luftwaffe was now on the strategic defensive, bomber production and that of the He 111 was suspended. Production in September 1944, the last production month for the He 111, included 118 bombers. Of these 21 Junkers Ju 87s, 74 Junkers Ju 188s, 3 Junkers Ju 388s and 18 Arado Ar 234s were built. Of the Heinkel variants, zero Heinkel He 177s were produced and just two Heinkel He 111s were built. In 1937, 24 He 111 F-1s were bought by the Turkish Air Force. The Turks also ordered four He 111 G-5s. China also ordered 12 He 111 A-0s, but at a cost 400,000 Reichsmark (RM). The aircraft were crated up and transported by sea. At the end of the Spanish Civil War, the Spanish Air Force acquired 59 He 111 "survivors" and a further six He 111s in 1941–1943. Bulgaria was given one He 111 H-6, Romania received 10 E-3s, 32 H-3s and 10 H-6s. Two H-10s and three H-16s were given to Slovakia, Hungary was given 3 He 111Bs and 12-13 He 111s by 6 May 1941. A further 80 P-1s were ordered but only 13 arrived. Towards the end of 1944, 12 He 111 Hs were delivered. The Japanese were due to receive 44 He 111Fs but in 1938 the agreement was cancelled. Ten aircraft built based on He 111 V3, two used for trials at Rechlin, rejected by Luftwaffe, all 10 were sold to China". As B-1, but with DB600GG engines, and extra radiators on either side of the engine nacelles under the wings. Later the DB 600Ga engines were added and the wing surface coolers withdrawn. Production bomber, 24 were exported to Turkey. Twenty were built. The F-2 was based on the F-1, differing only in installation of optimised wireless equipment. Production torpedo bomber, 90 built, but re-configured as a bomber. Pre-production aircraft featured new straight wing, new glazed nose, DB601Aa engines, and a ventral Bodenlafette gondola for gunner (rather than "dust-bin" on previous models). Equipped with /Rüstsätz 2 field conversions later in war of surviving aircraft to glider tugs. Its existence and production is in doubt. It was intended for export to the Hungarian Air Force, by the project founder for lack of DB 601E engines. Only a small number were built, and were used in the Luftwaffe as towcraft. Production aircraft. Fitted with FuG IIIaU and later FuG 10 radio communications. This version was fitted with improved armament. Two D Stands (waist guns) in the fuselage giving the variant some five MG 15 Machine guns. Torpedo bomber, could carry two LT F5b torpedoes externally, powered by Jumo 211F-1 engines, had six MG 15s with optional MG FF cannon in nose and/or forward gondola. Designed as a night bomber. Similar to H-6, tail MG 17 removed, ventral gondola removed, and armoured plate added. Fitted with Kuto-Nase barrage balloon cable-cutters. Re-designated and modified H-6, H-16, and H-21's used to air launch V1 flying-bombs. Soviet Air Forces operated several captured He 111s during World War II. Turkish Air Force operated 24 He 111F-1s, with first deliveries in 1937, and remaining in use until 1944. 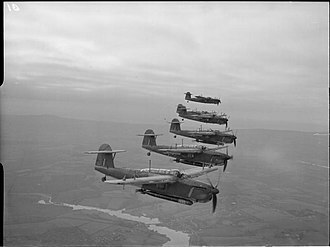 Royal Air Force operated various captured variants during and after the war for evaluation purposes i.e. to discover strengths and weaknesses. 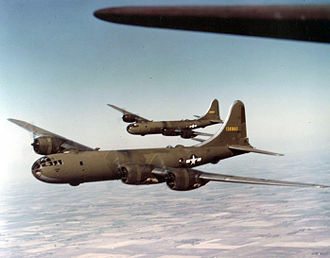 United States Army Air Forces operated several captured aircraft after the war. One H-20 - 23, may be the aircraft currently on display at the RAF Museum Hendon, minus the Drehlafette DL 131 turret. Central Air Transport Corporation (CATC) operated a single ex-air force He 111A re-fitted with Wright Cyclone radial engines. Deutsche Luft Hansa operated 12 aircraft. Unknown civilian user operated one converted bomber. The registration of the He 111 was YR-PTP. Works, or factory number is unknown. He 111, Werknr. 701152, RAF Hendon, London. This H-20, built in 1944, was modified to drop paratroopers (Fallschirmjäger). He 111 E-3 (code 25+82), Wk Nr 2940 with the "conventional" cockpit is on display at the Museo del Aire, Madrid, Spain. A mostly complete He 111 P-2 (5J+CN), Werknummer 1526 of 5.Staffel/Kampfgeschwader 54 (KG 54—Bomber Wing 54), is on display at the Royal Norwegian Air Force Museum at Gardermoen, part of the Norwegian Armed Forces Aircraft Collection. The 5J Geschwaderkennung code on the aircraft is usually documented as being that of either I. Gruppe/KG 4 or KG 100 with B3 being KG 54's equivalent code throughout the war. An He 111 H-20 (Stammkennzeichen of NT+SL), Wk Nr 701152, a troop-carrying version is on display at the RAF Museum Hendon, London. Appropriated by USAAF pilots in France at the end of the war, it was left in Britain following the unit's return to the US, and taken on by the RAF. Up to 3,600 kilograms (7,900 lb) could be carried externally. External bomb racks blocked the internal bomb bay. Carrying bombs externally increased weight and drag and impaired the aircraft's performance significantly. Carrying the maximum load usually required rocket-assisted take-off. ^ Cruz Air Enthusiast September/October 1998, p. 35. ^ a b c Dressel and Griehl 1994, p. 32. ^ Dressel and Griehl 1994, pp. 32–33. ^ a b c d e f g Dressel and Griehl 1994, p. 34. ^ Wagner & Nowarra 1971, p. 290. ^ Dressel and Griehl 1994, p. 35. ^ Dressel and Griehl 1994, p. 36. ^ Punka 2002, pp 24. ^ Griehl 2006, pp. 36–37. ^ Griehl 2008, p. 7. ^ Dressel and Griehl 1994, p. 37. ^ Griehl 2008, p. 8. ^ Gross 2007, p. 144. ^ Karl-Heinz Regnat 2004, p. 63. ^ Cruz Air Enthusiast September/October 1998, pp. 32, 35. ^ Punka 2002, pp. 23, 34. ^ Griehl 2006, p. 34. ^ Air International September 1987, p. 133. ^ a b c "List of He 111 survivors." preservedaxisaircraft.com. Retrieved: 10 November 2012. 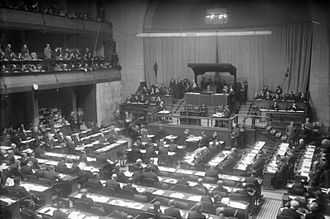 ^ "Kennzeichen ab 1939 - Verbandskennzeichen". Luftarchiv.de. Retrieved 5 January 2013. ^ Simpson, Andy. "Individual Record: Heinkel He 111 H-20/R1 701152/8471M, accession record 78/A/1033" (pdf). Archived 23 December 2010 at the Wayback Machine RAF Museum, 2007. Retrieved: 10 February 2011. Bergström, Christer. Bagration to Berlin - The Final Air Battle in the East: 1944-1945. London: Chevron/Ian Allan, 2008. ISBN 978-1-903223-91-8. Bergstrom, Christer. Barbarossa - The Air Battle: July–December 1941. London: Chevron/Ian Allan, 2007. ISBN 978-1-85780-270-2. Bergström, Christer. Kursk - The Air Battle: July 1943. London: Chevron/Ian Allan, 2007. ISBN 978-1-903223-88-8. "The Classic Heinkel:Part Two - From First to Second Generation". Air International, September 1987, pp. 128–136. Bromley, UK: Fine Scroll. ISSN 0306-5634. Cruz, Gonzala Avila. "Pegqenos and Grandes: Earlier Heinkel He 111s in Spanish Service". Air Enthusiast, No. 77, September/October 1998, pp. 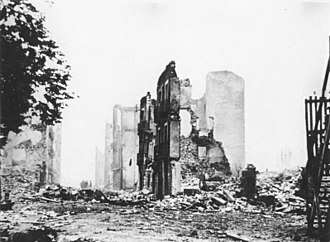 29–35. ISSN 0143-5450.
de Zeng, H.L., D.G. Stanket and E.J. Creek. Bomber Units of the Luftwaffe 1933-1945: A Reference Source, Volume 1. London: Ian Allan Publishing, 2007. ISBN 978-1-85780-279-5.
de Zeng, H.L., D.G. Stanket and E.J. Creek. Bomber Units of the Luftwaffe 1933-1945: A Reference Source, Volume 2. London: Ian Allan Publishing, 2007. ISBN 978-1-903223-87-1. Donald, David (1998). An Industry of Prototypes: Heinkel He 119. Wings of Fame. 12. London/Westport, Connecticut: Aerospace Publishing. pp. 30–35. ISBN 1-86184-021-7. Griehl, Manfred (2006). Heinkel He 111: The Early variants A–G and J of the Standard Bomber Aircraft of the Luftwaffe in World War II. World War II Combat Aircraft Photo Archive ADC 004. Part 1. Ravensburg, Germany: Air Doc, Laub GmbH. ISBN 3-935687-43-5. Griehl, Manfred (2008) . Heinkel He 111: P and Early H variants of the Standard Bomber Aircraft of the Luftwaffe in World War II. World War II Combat Aircraft Photo Archive. Part 2. Ravensburg, Germany: Air Doc, Laub GmbH. ISBN 978-3-935687-46-1. ADC 007. Hayward, Joel S.A. Stopped at Stalingrad: The Luftwaffe and Hitler's Defeat in the East, 1942–1943 (Modern War Studies). Lawrence, Kansas: University Press of Kansas, 1998 (hardcover, ISBN 0-7006-0876-1); 2001 (paperback, ISBN 0-7006-1146-0). Hooton, E.R. Luftwaffe at War, Blitzkrieg in the West: Volume 2. London: Chevron/Ian Allan, 2007. ISBN 978-1-85780-272-6. Hooton, E.R. Luftwaffe at War, Gathering Storm 1933-39: Volume 1. London: Chevron/Ian Allan, 2007. ISBN 978-1-903223-71-0. 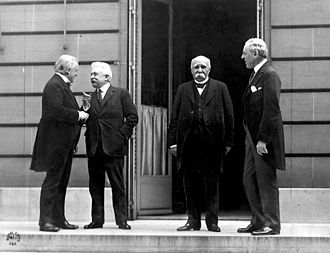 Smith, J. Richard and Anthony L. Kay. German Aircraft of the Second World War. Annapolis, Maryland: US Naval Institute Press, 2002. ISBN 1-55750-010-X. Wikimedia Commons has media related to Heinkel He 111. The Heinkel He 70 is a German mail plane and fast passenger aircraft of the 1930s which was used in auxiliary bomber and reconnaissance roles. It had a brief commercial career before it was replaced by types which could carry more passengers. The He 70 was a design for its day, setting eight world speed records by the beginning of 1933. It was a monoplane, with the main characteristic of its design being its elliptical wing and its small. In order to meet the speed requirements, the design minimised drag, with flush rivets giving a smooth surface finish. It was powered by a liquid cooled BMW VI V12, cooled by ethylene glycol rather than water, allowing a smaller radiator, the pilot and radio operator were seated in tandem, with a cabin housing four passengers on two double seats facing each other. The first prototype flew on 1 December 1932, and proved to have excellent performance, setting eight world records for speed over distance, and reaching a maximum speed of 377 km/h. Luft Hansa operated He 70s between 1934 and 1937 for a fast flight service which connected Berlin with Frankfurt and Cologne and he 70s were flown abroad from Stuttgart to Seville between 1934 and 1936. The route was part of the South America mail service provided by Luft Hansa that continued via Bathurst, The Gambia to Natal, using Junkers Ju 52/3m, remaining aircraft were transferred to the Luftwaffe in 1937. Twenty-eight aircraft were sent with the Legion Condor, where they were used during the Spanish Civil War as fast reconnaissance aircraft and their high speed gave them the nickname Rayo. The He 70K, a fast reconnaissance variant, was used by the Royal Hungarian Air Force in early World War II during 1941-42. The Luftwaffe operated He 70s from 1935, initially as a light bomber, as soon as purpose built designs became available, it was relegated as a liaison and courier aircraft. The main weakness of the He 70 in military use was that crews considered it a fire risk, elements of the airframe were made out of so-called Elektron, though the majority of the monocoque fuselage was Duralumin. Elektron is a light, yet strong, alloy of magnesium, which burns readily when ignited. Moreover, the wings contained a non-self-sealing 47-gallon fuel tank apiece, a single hit from a light machine gun is reputed to have often set the entire aircraft ablaze. 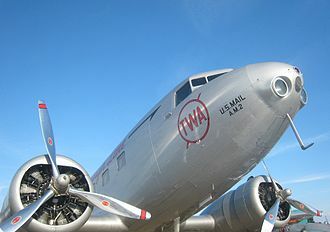 A scaled-down version of the Lockheed Model 10 Electra, the Lockheed 12 was not popular as an airliner but was widely used as a corporate and government transport. Several were used for testing new aviation technologies, after Lockheed had introduced its 10-passenger Model 10 Electra, the company decided to develop a smaller version which would be better suited as a feeder airliner or a corporate executive transport. 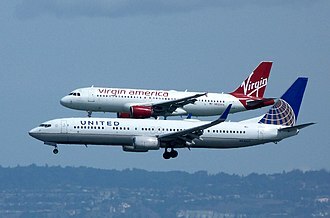 At the same time, the U. S. Bureau of Air Commerce had sensed the need for a feeder airliner. In order for a candidate to qualify for the competition, a prototype had to fly by June 30,1936, Lockheed based its candidate, which it named the Model 12 Electra Junior, around a smaller, improved version of the Electra airframe. It would carry six passengers and two pilots but would use the same 450 hp Pratt & Whitney R-985 Wasp Junior SB radial engines as the main Electra version. This made it faster than the Electra, with a top speed of 225 mph at 5,000 ft, like the Electra, the Model 12 had an all-metal structure, trailing-edge wing flaps, low-drag NACA engine cowlings, and two-bladed controllable-pitch propellers. It had the Electras twin tail fins and rudders, which were becoming a Lockheed trademark. As in the Electra and the Boeing 247, the Model 12s main wing spar passed through the passenger cabin, the cabin had a lavatory in the rear. Although the standard layout was for six passengers, Lockheed offered roomier. The new transport had its first flight on June 27,1936, as it turned out, the other two competition entries, the Beechcraft Model 18 and the Barkley-Grow T8P-1, werent ready in time for the deadline, so Lockheed won by default. The Electra Junior name did not catch on in the way that the original Electras name had, most users simply referred to the aircraft by its model number, as the Lockheed 12. 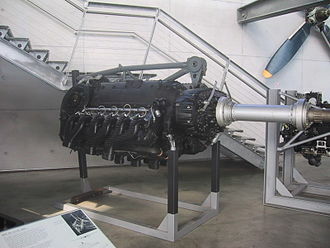 The original Lockheed 12 version, with Wasp Junior engines, was the Model 12A, almost every Lockheed 12 built was a 12A or derived from the 12A. 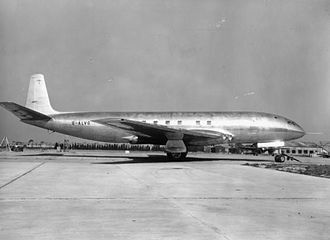 There was a Model 12B, using 440 hp Wright R-975-E3 Whirlwind radials, even though the Lockheed 12 had won the governments feeder airliner competition, the airlines mostly rejected it, and very few Lockheed 12s were used as airliners. The preserved He 111P in Norway, which pioneered German stepless cockpits in January 1938. B-29 Superfortress. Note the round, stepless nose. The Boeing 307 airliner is a rare example of a "stepless-cockpit" civilian airliner from the 1940s. The Stearman XA-21 American medium bomber prototype featured a stepless cockpit as originally designed. The troublesome DB 610 "welded-together engine" – the DB 606A/B powerplants were similar in configuration, with DB 610s used to substitute for the failed Jumo 222 powerplants. Outer engine mount forgings not present on this restored example. FuG 10 radio set used in the Do 17Z. The rudder of a Dornier Do 17 shot down on 28 August 1940.